The Subaru Forester is one of the best sellers in our lineup. With options like steering wheel controls, voice command, blind spot indicator, power tailgate, heated seats and much more. This vehicle has been recently maintained and ready to drive. Book an appointment today. Every one of our vehicles has been inspected, mechanically reconditioned, detailed and is backed by our Owner Protection Plan which includes a complete Car Proof Report providing insurance and registration history on the car. 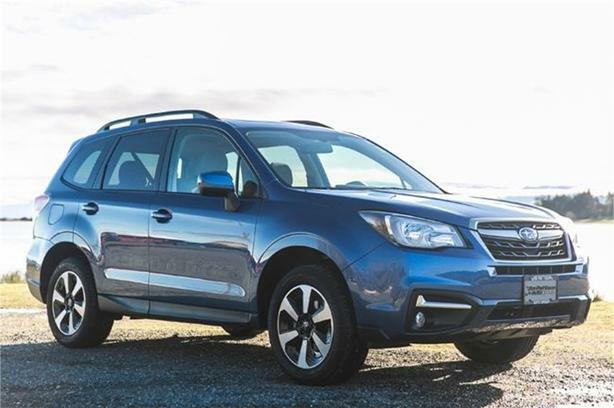 All Pre Owned vehicles are subject to a $395.00 Administration Documentation Fee on top of prices and applicable Govt Taxes/Levies.Call Jim Pattison Subaru Victoria 1 (888)-493-5420 Local & Toll Free.1784 Island Hwy, Victoria, BC V9B 1H8 Jim Pattison Subaru is Vancouver Islands premier destination for quality used Subarus and other used vehicles!Like us on Facebook @jpsubaruvictoria/ for additional savings, promotions and contests.